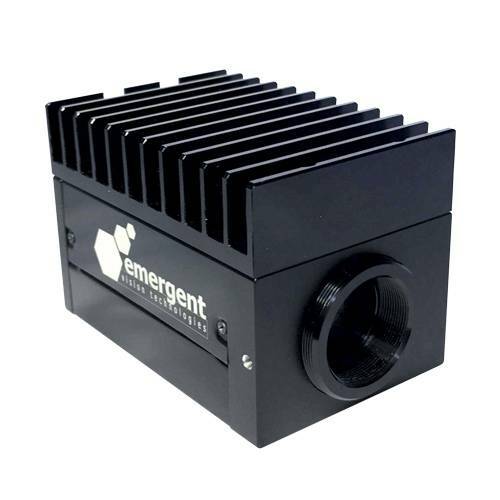 Emergent Vision Technologies’ HT high-speed camera series comes with a high-speed 10-Gigabit-Ethernet connection (10-GigE). They are equipped with CMOSIS or SONY global-shutter sensors and are available with resolutions ranging from 2MP to 20MP. The HT series features the 10GBaseT interface (RJ45 connector), over which cable lengths up to 100m can be realized. The cameras are GigE Vision compliant.